It was an important Friday morning on Capitol Hill in the fight against Planned Parenthood. Up for debate was Rep. Diane Black's (R-TN) legislation to defund the abortion giant for one year as Congress investigates its practices. 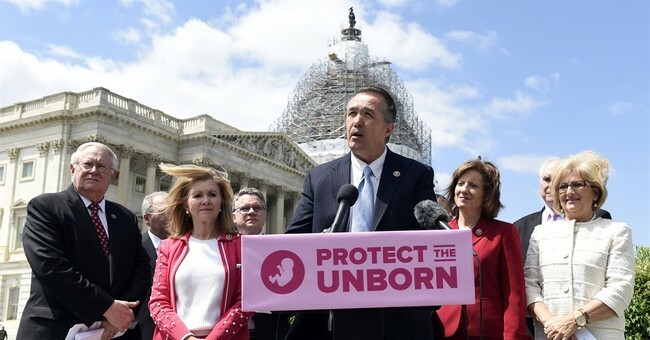 The second was Rep. Trent Franks’ (R-AZ) Born-Alive Abortion Survivors Protection Act, which would ensure babies still alive after failed abortions receive necessary medical treatment and not be left to die. Both measures have passed. In a vote of 241 to 187, the House approved of Rep. Black's one-year moratorium on taxpayer funding of Planned Parenthood, which amounts to half a billion dollars. The Born-Alive Infant Protection Act passed 248-177 with 1 present. In debate leading up to the vote, Rep. Marsha Blackburn (R-TN), a pro-life advocate, said the documentation of the “heinous practices” exposed in the Center for Medical Progress's investigation has raised serious questions about the violations of federal laws. The videos reveal Planned Parenthood officials negotiating the sale of fetal body parts. “If there is reasonable doubt, we should withhold those funds,” she said. White House spokesman Josh Earnest said Wednesday that the GOP's "fascination" with defunding Planned Parenthood this summer has brought the government to the brink of a shutdown. "The way that Republicans, including some Republican candidates last night, have injected this ideological issue in the midst of the budget debate, has made it more difficult to reach a bipartisan budget deal," he said, offering a preview of the White House's plan of attack if Republicans fail to reach a government funding deal by Sept. 30. Every single Member of Congress, pro-life and pro-choice alike, should want to ensure that laws are followed and that taxpayer dollars are spent with integrity. That’s not an ideological extreme- that’s called doing our job. Pro-lifers can also argue the Obama administration has no right to be so callous toward their defund Planned Parenthood fight, since as far as we know the president has not even watched the videos. During Friday’s debate over the Born-Alive Act, Rep. Steve Scalise (R-LA) defended his friend Rep. Franks’ bill, arguing it assures the inalienable right to life for all. “Why should a baby that’s born alive be denied that same right?” he asked. It is a common sense piece of legislation that speaks to humanity, yet President Obama has pledged to veto it.